Food & Wine is my favorite magazine, and their November issue featured a recipe I just felt compelled to attempt: Apple Sharlotka. 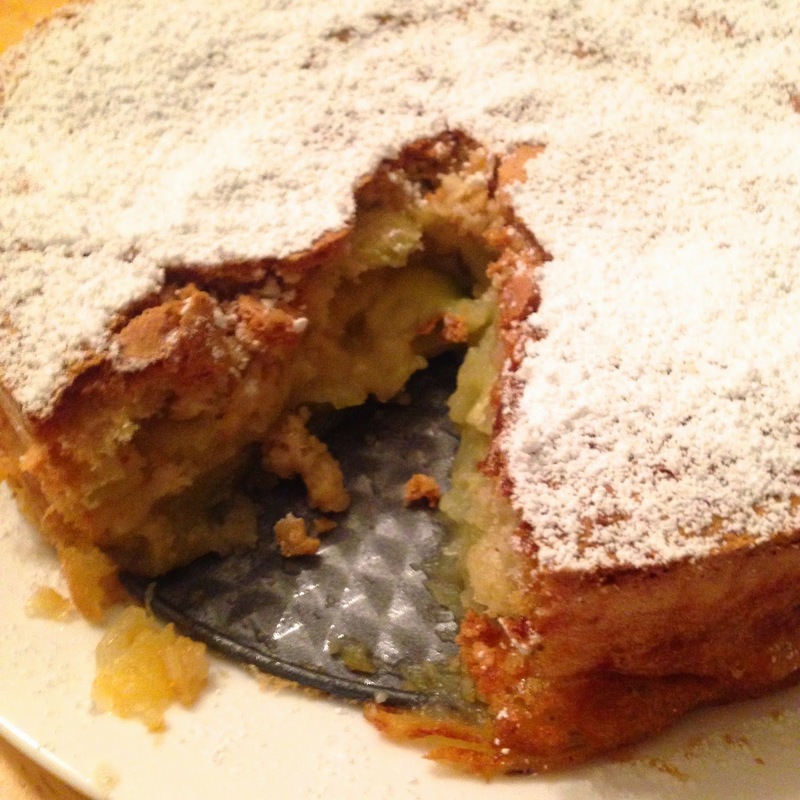 Basically, it's a Russian apple cake, though for me it felt like a lovely upside-down pie of sorts. The prep was pretty easy. Peeling and slicing apples was the most challenging part. Then it was some batter-making and arranging it all in a springform pan, allowing the batter poured over the top to sink in through the apples. In hindsight, I should have let the batter drip through a bit more, but I was so excited to get it into the oven! There was definitely some waiting involved... it bakes for an hour! And then you have to let it cool a bit before opening the pan. But once you do, and you add the powdered sugar, it sure looks beautiful! Dan and I both liked the taste; I added a little whipped cream to mine. It's not overly sweet, and the apples make it tart. Not bad for a first attempt, eh?